At the end of March, I’ll be flying to Michigan to receive the Mitten Award from the Michigan Library Association. The award is for a book (“Dogs on Duty: Soldiers’ Best Friends on the Battlefield and Beyond”) that does a good job of communicating information to its target audience. I work hard to achieve that goal, so I feel honored to receive this award. At the conference I will also be giving a keynote address, which has gotten me thinking: What topic is especially appropriate for a keynote? This question has been wandering around in my head for a while, and I’ve finally decided on the answer for me, at this time in my career. 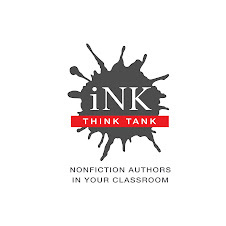 A nonfiction writer is a person who loves learning new information and feels the urge to communicate the fascinating information she/he has learned to other people. We go through the years finding intriguing topics, enjoying our research, and putting it all together in a form we hope will inspire and engross our readers. We learn a lot, meet all sorts of experts, and probably visit some fascinating locales. But I realize now that we do so much for ourselves in the process of being dedicated to looking for truth and communicating our knowledge to others. This work helps make us be more open in a number of ways. We learn to explore all sides of a topic, to investigate different versions of the “facts,” and to communicate the complexities of “there are no simple answers” to our audience in clear, nonjudgmental language. I think nonjudgmental is a big part. 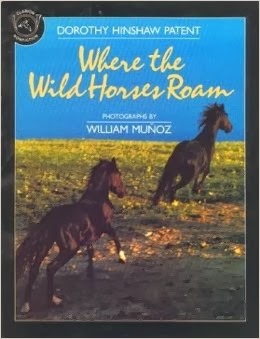 Years ago I wrote “Where the Wild Horses Roam,” about wild horses in the West. There were, and still are, big controversies about these animals. To some, they are a symbol of wildness, an integral part of the history of the American west that must be honored and protected. To others, like ranchers who purchase grazing leases on the public lands that house the horses, these equines are not just a damn nuisance, they steal the vital and sometimes sparse food their cattle need to fatten up and provide income for the ranchers. I did my best to express the concerns of both sides and shrugged. “If both ranchers and horse advocates hate me after reading this, I’ll know the book is good.” But I was wrong—both sides appreciated what I wrote because I stated each side of the story accurately and without any evaluative language. They just wanted to be heard. I try to keep that lesson in mind whenever I write about a potentially controversial topic. “Just the facts, ma’am” has become my mantra. That's just one example of the unexpected bonuses I've received from this work. Now, after more than 40 years in this business, I realize how much of value I’ve learned, not just the facts and theories, the interactions and exceptions, but also the variety of it all—so many cultures, so many ways of seeing the world and of being in the world, so much glorious variety in Nature. So, as you can imagine, I’m nowhere near finished yet. I want to continue learning and communicating as I keep finding more and more intriguing stories available for exploration. Hooray on the award! I check this book out all the time to students, and it's great to pair with C. Alexander London's Dog Tags series! That's nice to know, Ms. Yingling--thanks!